Presently, Twitter hosts 328 million monthly active users, with 500+ million tweets sent on a daily basis, presenting several brands, a huge advantage through the platform to expand on their reach and presence online. According to study statistics suggest that nearly 41% of people on Twitter made their purchasing decisions owing to the ad marketing through the platform in a single month! Nowadays, the goal of a good campaign is to deliver the best content to the target audience directly with a streamlined approach. Twitter advertising accounts for less investment compared to other marketing approaches and is quite effective in garnering traffic or customers and even revenue. The platform advertises businesses efficiently since the micro-blogging network allows merchants to buy their way through short and effective conversations through billions of tweets. Twitter ads are making waves amidst the relevant audience while connecting with them genuinely for several businesses. Know how? Here through this article. Promoted Accounts helps businesses to promote their account to encourage others to follow. Log in to the Twitter account and on your dashboard, you will find suggested users below Twitter statistics, to follow based on your interests and preferences. With relevant keywords in its profile, businesses can target an audience in the location and will function as a promoted account. 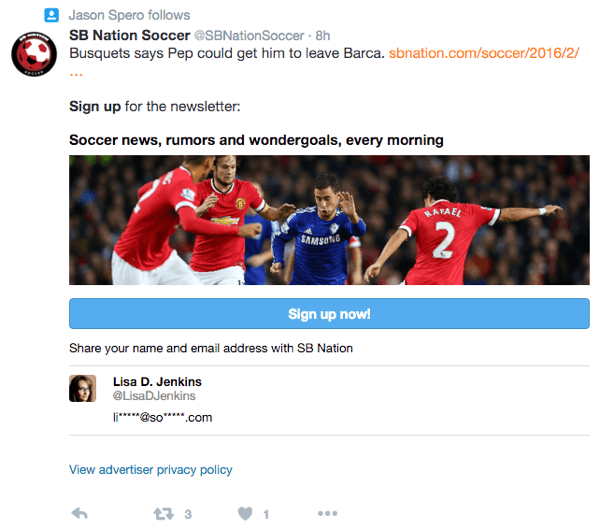 Promoted Tweets highlight specific status updates for attracting exposure. Promoted Tweets included in the profile is presented in an expanded view with the search results choosing the particular keywords being targeted through the tweet. Promoted Trends refer to specific topics and hashtags that acquire the top position in the trending topics of the day. The trends are mentioned on the Twitter homepage, under the Trends section. Advertising On Twitter – the 3 Most Effective Ways! To control campaign costs and minimize risk, a daily budget needs to be set. This implies that every business has to be proactive to set the value associated with a new follower, lead or even a basic click-through to the website through Twitter. Follower campaign ads boost visibility and increase followers. The ads are placed at the top of a person’s timeline as promoted tweets while the accounts are promoted accounts. A Twitter campaign can help drive traffic to the website, and generate consistent conversions in terms of page views, signups or orders. A Twitter campaign can aid generating leads wherein people can opt-in easily, with details auto-filled when the audience clicks on a tweet. Keywords are relevant and usually the driving force for web content searches, and on Twitter too, it is no different. They are the backbone to a campaign or marketing strategy. Sharing links to relevant content is quite important since users get attracted to something they are interested in, retaining followers, while “engaging” with new ones in conversation. Too many businesses set the feed on autopilot with promotional content. Most overdo their promotional tweets, and seldom make it a resource for followers who are interested in articles that solve their problems or discussions on important topics. Answer questions and address the new trends, which will surely get you more followers. Reward your followers who participate in conversations or retweet your posts on their site or blog, helping you reach more audience. Determine which ads you want to use its measurability of success. It should include key elements including goals, customer profile, key influencers, and a specific editorial calendar. 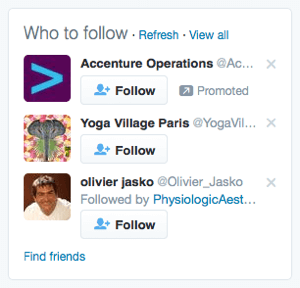 Do not follow marketers who adopt a haphazard approach to run profiles. Decide early about your Twitter activity goals. Check why your business needs tweets, the people to target, the ads that you want to use, the content required, the metrics required to gauge success. Generate leads on a consistent basis. Drive awareness for your brand and offerings. Use your profile as a connection to content marketing efforts, especially to expand the reach of blog posts and videos. Your choice of goals are connected to campaigns, so it’s important to embrace a transparent goal-selection process that is relevant to the audience. Advertising on Twitter is great to improve website traffic. Twitter is an effective social media tool for driving traffic to the blog, website, video etc. Paid promotions on Twitter based on high traffic keywords, helps your brand in driving the number of followers on Twitter as well as a landing page. Opt for Twitter Ads if you are strapped off time. Twitter ads do incur costs, but they are perfect for small businesses. Compared to other paid promotion options, Twitter ads don’t involve lots of money since it targets with several options and reduces cost relatively. Twitter allows businesses to get closer to their relevant audience especially those who are benefited by your offerings. Twitter ads help target the audience based on their preferences and interests. One can communicate with followers with organic tweets and understand their needs better. Twitter Advertising for business ensures that a content-rich post will entice the relevant audience with maximum visibility for your brand, with a huge boost in conversions too. With Twitter, locate people who have the same interests and preferences, thus ascertaining your target potential customers. With proper networking, one can build a following and develop relationships that can directly lead to sales. Tweets and retweets can also aid in increasing your prospect base. Twitter ads allow you to propagate a message anytime without delays. Send in a quick tweet in case of a sudden change in market conditions or operations so that you can always be ahead of the competition to communicate the change and boost response times. Prateeksha Mathur is a tech savvy marketing professional writing for Zestard Technologies, who loves to write about digital marketing, web design, web development and other technology spheres. She is a coffee addict and a bibliophile too. You can follow her on my Twitter.